I was interviewed by the local paper recently and they asked me when I thought I would complete playing the top 100 courses. I said that I was pretty certain I would have 99 out of 100 within three years, but that playing Augusta was going to be difficult and far from certain. A few days later I was contacted by a fellow self-described 'compulsive person' who completed playing the world's top 100 a decade ago. It took him 20 years, seven months and 27 days to get on Augusta, but he managed it. You can't out-original Bernie Hiller when it comes to golf experiences. You also cannot insult him. He's become used to (numb to?) being called crazy, nuts and out of his mind. His wife calls him these things daily. To say that Hiller is a compulsive, moderately-eccentric man who's on a mission from God to get his way is to say that the greens at Augusta National are difficult to putt or that Pine Valley is an awesome golf course. (More on those two courses in a moment). Hiller is a 71-year-old Long Island resident who had a vision back in 1974 - Oct. 1, 1974 to be exact. And, to put this as mildly as we can, Hiller would not allow himself to be denied fulfilling his dream. "I got a book from Golf Digest about the 100 best courses in the U.S. and I said, 'God, I would like to do this someday,'" Hiller was saying this week. By "doing this someday," Hiller meant playing the 100 of the best courses. All of them. Honest. And so he did, officially completing his methodical, self-funded mission in November of 1997. 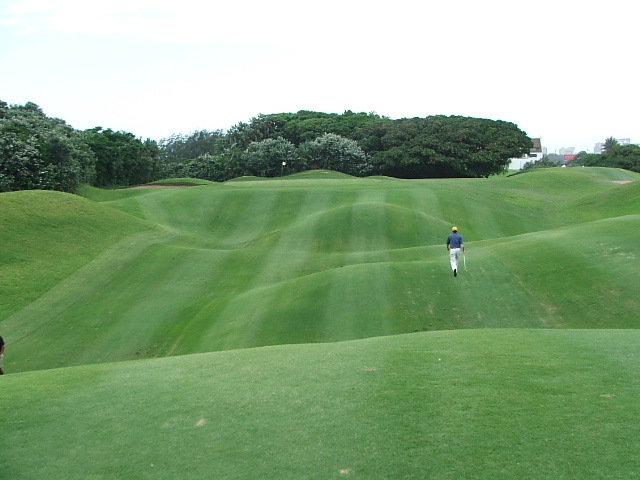 That mission, by the way, was modified from the top 100 courses in the U.S. to the top 100 courses in the world. Hiller, who's in the life insurance business, has traveled as far as New Zealand, Australia, South Africa and Japan - just to play these great golf courses. He's done it, for the most part, by writing letters to the courses and asking on. His most difficult conquest was Augusta National. "I'd finally almost finished the U.S. list, getting up to No. 99, but I could never get into Augusta," Hiller recalled. "I calculated that I talked to at least 5,000 people trying to get onto Augusta. "Finally," Hiller went on, "I got to play Augusta. I played with the dishwasher. It took me 20 years, seven months and 27 days from the time I first started trying to get on it." 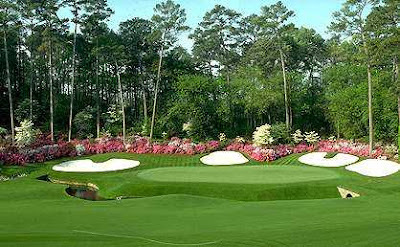 On May 27, 1995, after being connected with the Augusta National dishwasher by a mutual acquaintance, Hiller, a 16 handicap now, conquered his toughest quest - shooting 85 at the home of The Masters. It was made possible because in late May the club employees are allowed to play the course with one guest. "It was one of the great rounds of my life," Hiller said. "I swear I heard the 25,000 people applauding when I got off 18. I still get chills talking about it." Hiller's favorite course of all - what he calls "the most enjoyable course in the world" - is not even on any of those top 100 lists: The Gold Course of the Golden Horseshoe in Williamsburg, Va. He calls Pine Valley "the greatest golf course in the world, no ifs ands or buts." He said he loves Pebble Beach and added, "There's no greater hole than the 16th at Cypress." "I rate, right now, Bethpage Black in the top 10," Hiller said. "I think it's better than Shinnecock." Hiller said he has his own rating system for courses. "I look at a golf course as a piece of sculpture made out of the basic elements of sand and grass and trees and water," he said. "I go along with some of the Golf Digest criteria - identifiability, memorability, diversity of holes, quality of the course itself and degree of difficulty. Then I add my own: enjoyment." Hiller estimated that he's spent somewhere around $100,000 in his quest. He said he buys a shirt from each course he played, estimating that he's spent about $12,000 on shirts alone. His mission nearly never culminated as he nearly died trying to complete it. While attempting to play the 100th of the world courses, Hiller collapsed in South Africa with heart problems the day before he was to play Durban Country Club. After a night in the hospital, though, "I got up the next morning, teed off at 1:30 at Durban, and walked the whole way," Hiller said. "It was finally No. 100. My hands were shaking. The next morning at the airport, the same [heart] thing hit me. When they called my cardiologist back home, he said, 'Let him die, because he's too stupid.'" The morning Hiller arrived back to the States, he had open heart surgery. "But I did it," he said. "I know that had I died that time, all my friends would have said, 'He died happy playing that golf course.' It's a craziness, I know. But I'm a very compulsive person." Awesome story. Thanks for sharing that! That guy makes you look semi-normal! Great stuff. Can you reprint your article from the local paper? One obscure detail in article that I found amusing: my brother always gets ticked at me for putting the Golden Horseshoe ahead of his home course (Bayonne GC) in my personal rankings. I'm glad to see it get a little love from Bernie.